Anyone who knows me even for a nanosecond usually picks up fairly quickly on the fried chicken fanatic that I am. Besides noodles (and perhaps meatloaf), fried chicken is just about my favorite food. And the kind that I tend to crave is Asian fried chicken, specifically Malay or Indonesian, which usually is marinated in a melange of Southeast Asian spices — turmeric, ginger, cumin, coriander and more — before getting deep-fried to crisp perfection. While this may be fairly hard to find in my adoptive home of New York City, there’s a plethora of it in Singapore — especially, lucky for me, at the closest hawker center to my family’s home on the country’s idyllic east coast. 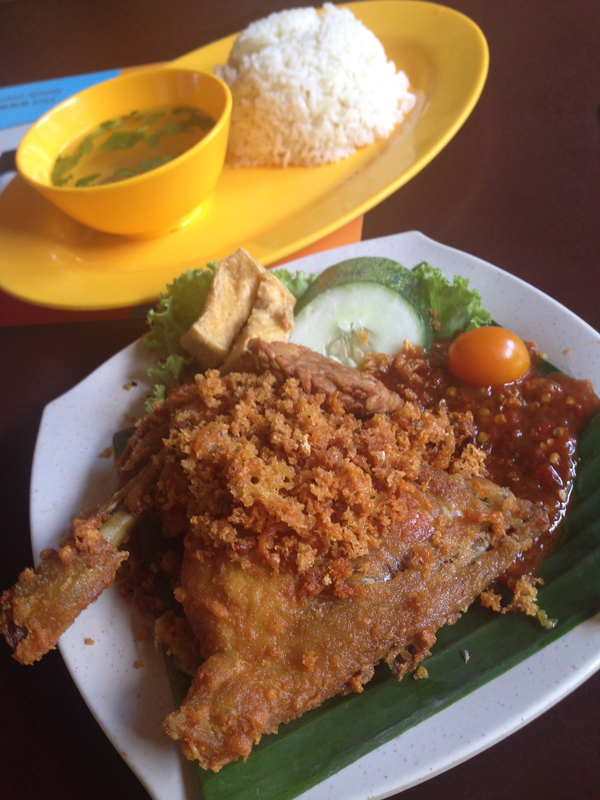 At the cosy Bedok Corner Food Centre, there is not one but four excellent stalls, all side by side, serving nasi ayam penyet, an Indonesian dish of crispy spicy chicken that’s been smashed for greater tenderness right before serving.